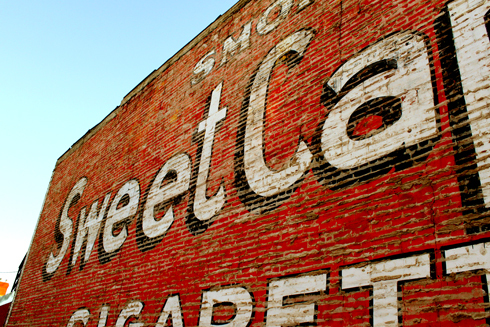 In downtown Medicine Hat there was a fire in the Central Block a few years ago. 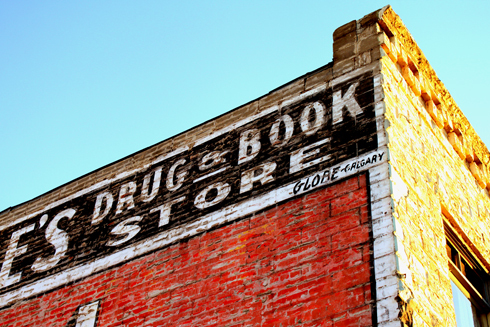 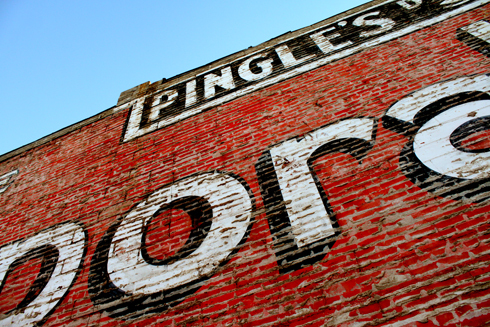 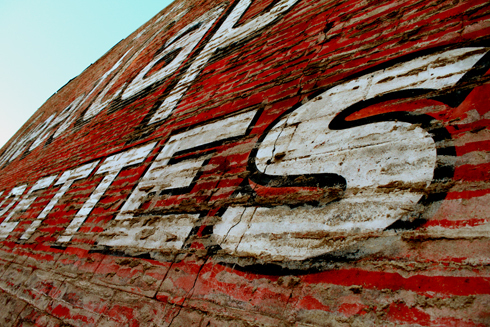 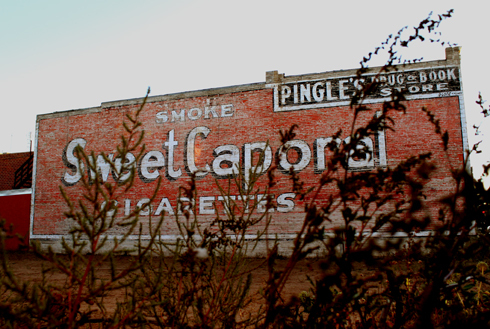 After the building was torn down this giant painted ad for Sweet Caporal cigarettes was revealed and has since become a common focal point for local photographers. 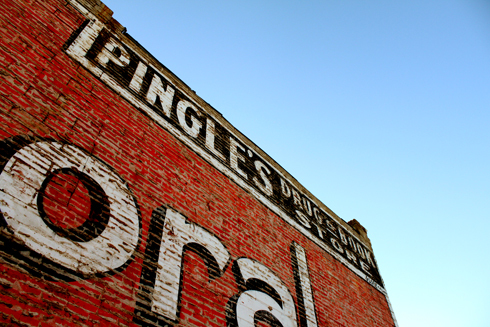 I've seen numerous wedding parties and couples taking shots here, and walking home a few nights ago I decided to shoot a few photos of the facade for myself. 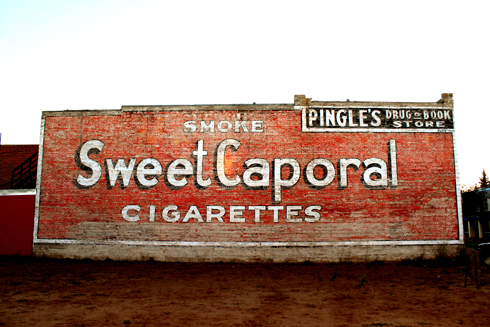 I'm not sure how old the ad is, but Sweet Caporal cigarettes have been around for over a century.